I have something interesting to show you, well, I think it's interesting. 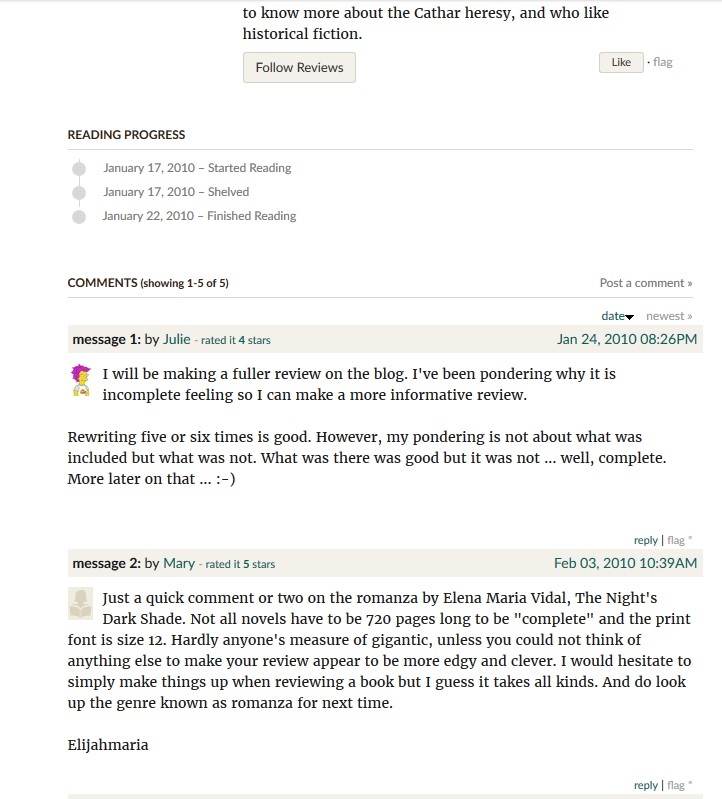 I think this profile on GoodReads may be an old sock account for Ms. Vidal. Could be wrong, of course. It's simply my suspicion. The name is Mary E., which matches, up to that point, Ms. Vidal's real name. The profile was created in 2010 and last active in 2012. One book has been shelved, rated and reviewed. One. And it's one of Ms. Vidal's books. 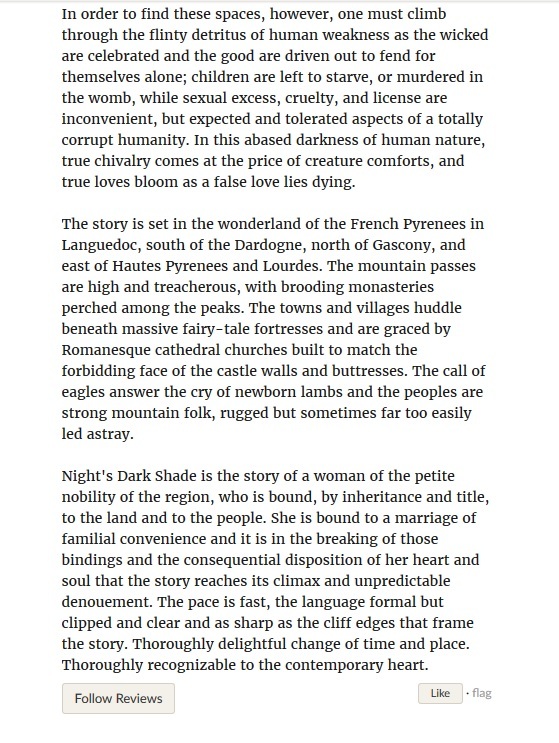 Rated 5 stars with a glowing, promotional type review. Skim through this to see what I mean, then I'll provide more evidence. 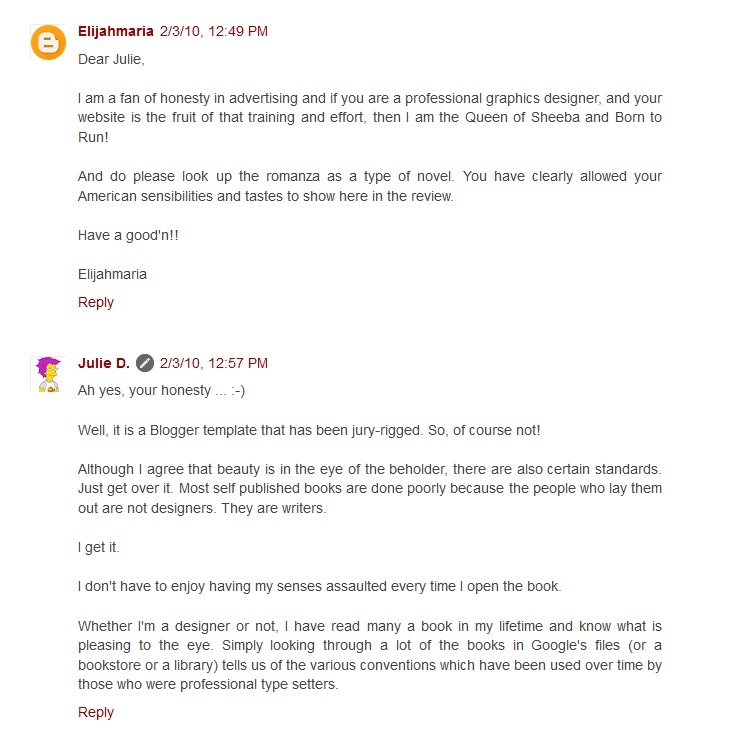 As you can tell above, apparently the author posted a response to this review to which Mary responded, but that post is now gone. Presumably due to Ms. Vidal's account being removed. 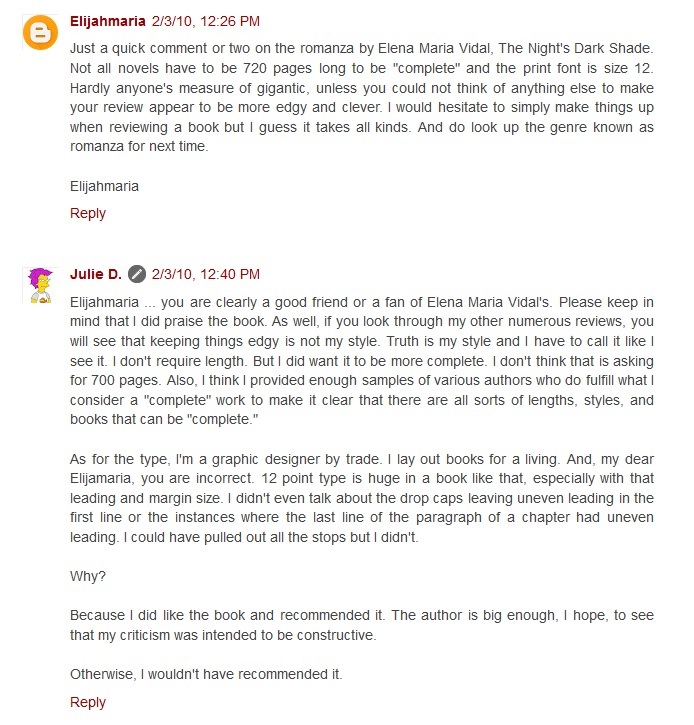 Next I want to show you another review of this book. This person I believe is genuine, what's interesting is the comments Mary E. posts regarding this review, considering this review is 4 stars and overall very positive. 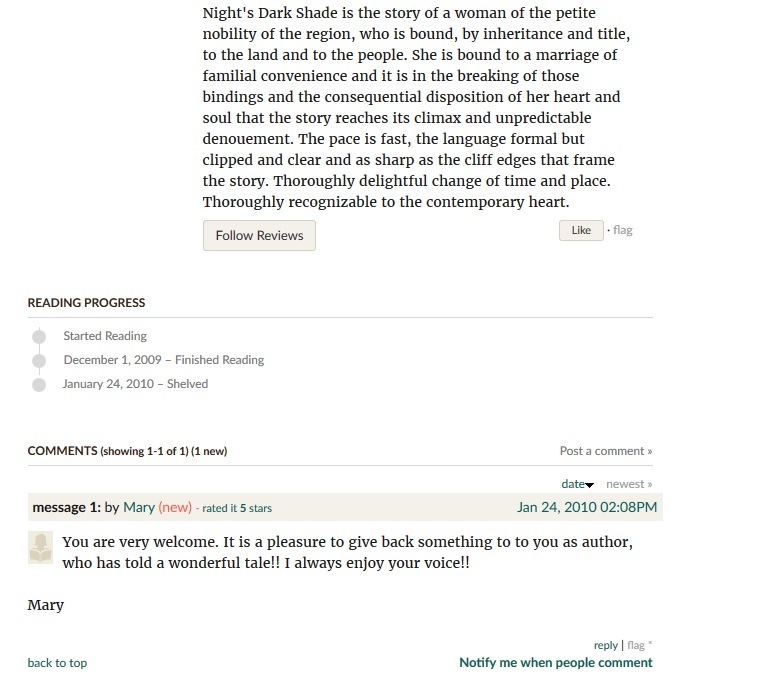 Other than the review of this book, and the comments of Mary E. shown below, there is no other activity showing on this profile. 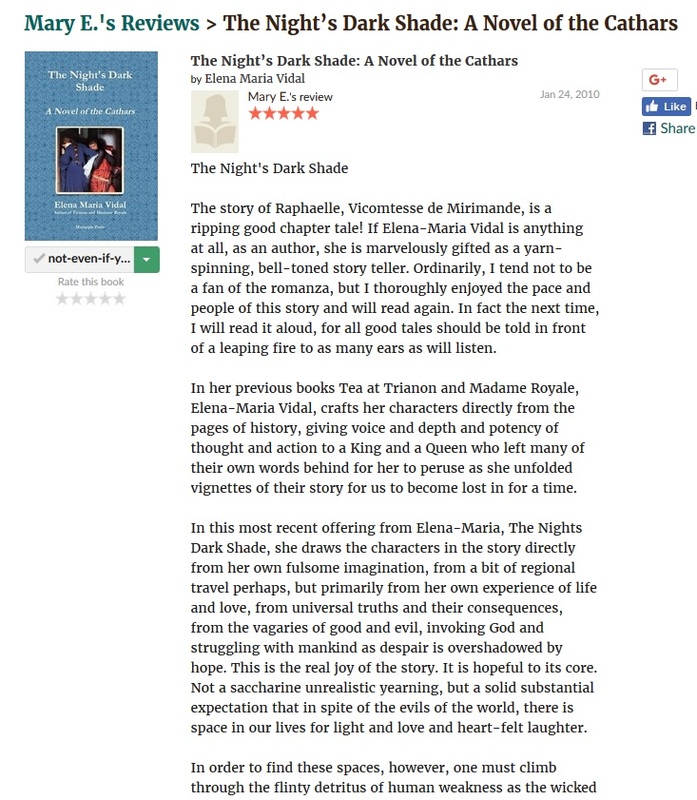 Seems to me the negative and critical response to this review is very out of whack, considering it's pretty positive, the reviewer clearly states she recommends the book, and she rated it 4 stars. 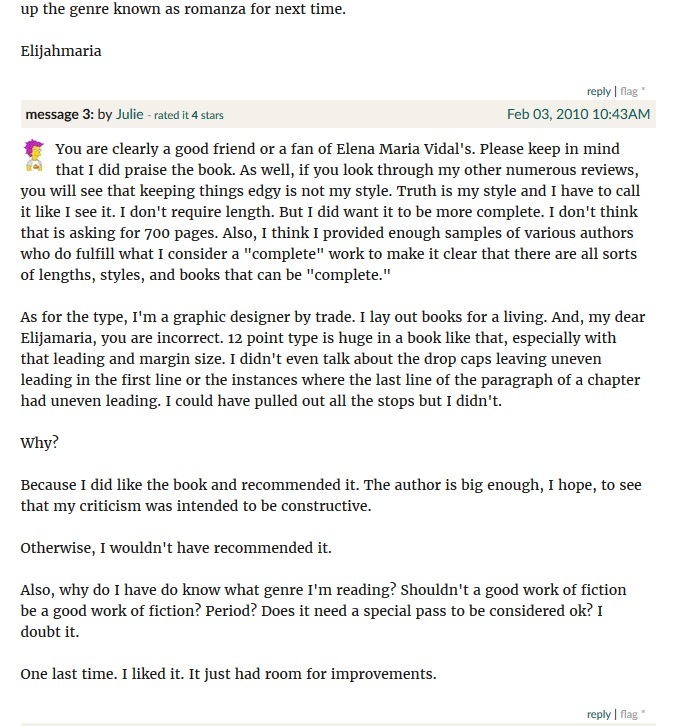 Mary seems unrealistically, and strangely, displeased with this review for not considering the book flawless. 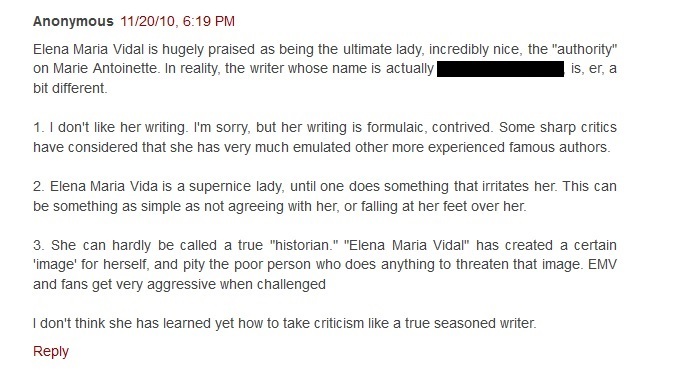 Here's someone else, posting an Anonymous comment in response. Don't know who this person is, I'm just including it because it made me laugh. 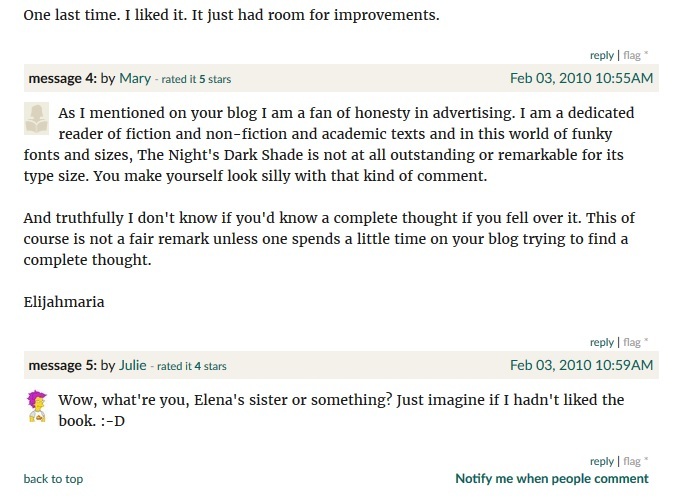 I'm wondering if Mary E. is a sock that has been forgotten, or perhaps simply left till wanted again, and if we'll see this profile resurrected in order to post attacks on Goodreads as we've been seeing.